It started with Larry Mullen Jr. banging out the opening stomp of “Sunday Bloody Sunday” as the rest of the band, Bono, The Edge, and Adam Clayton made their way to a small stage that jutted out into the crowd. AT&T Stadium was cleared for takeoff, the destination a national park in California known as Joshua Tree. I was there Saturday night to a take trip the down memory lane with my favorite band on their current Joshua Tree tour, revisiting the album that put them on the map in 1987. I will be taking a pilgrimage to Dublin this summer to see them live in their homeland. I’ll pay homage to the 30 years of entertainment and experiences they’ve provided. No doubt, I am a fan. And when it comes to fan experience, this band delivers. Fittingly, their next album, “Songs of Experience,” is set for release later this year. Producing the U2 live experience is a sophisticated, high-tech endeavor with a budget that reportedly ran $750,000 a day during their last tour. That’s a benchmark that creates a whole lot of separation in their category and ensures they can deliver one epic evening of entertainment. On Saturday my brother and I brought Mom to her first U2 show and she loved the experience just as much as we did. It didn’t matter that she wasn’t familiar with the music. In fact, that is precisely the point! Fittingly, U2 was playing AT&T Stadium, home of the Dallas Cowboys. The Cowboys are another brand reinventing the way they approach business. Most notably they have doubled down on getting closer to the customer and creating an unprecedented fan experience. They aren’t a football team — they are a technology and entertainment company delivering a football experience. That is a distinction that can provide some valuable insight into winning in the experience economy. I spent Friday working at The Star, the brand new Dallas Cowboys HQ located on a 91-acre campus that includes two outdoor practice fields, a 12,000-seat indoor stadium, office space, retail shopping and an upscale 16-story Omni hotel and convention center. The complex also features a Baylor Scott & White Health sports medicine facility, Cowboys fitness center and The Cowboys Club, a private social club and restaurant, where members can socialize, collaborate, relax and entertain in an atmosphere that is passionate about Dallas Cowboys football. The club, already sold out, provides the 800 members an opportunity to watch portions of the Cowboys’ practices from terrace views overlooking the facility’s outdoor fields. Membership also includes access to the fitness center and a host of other benefits, including scheduled talks with players and coaches. 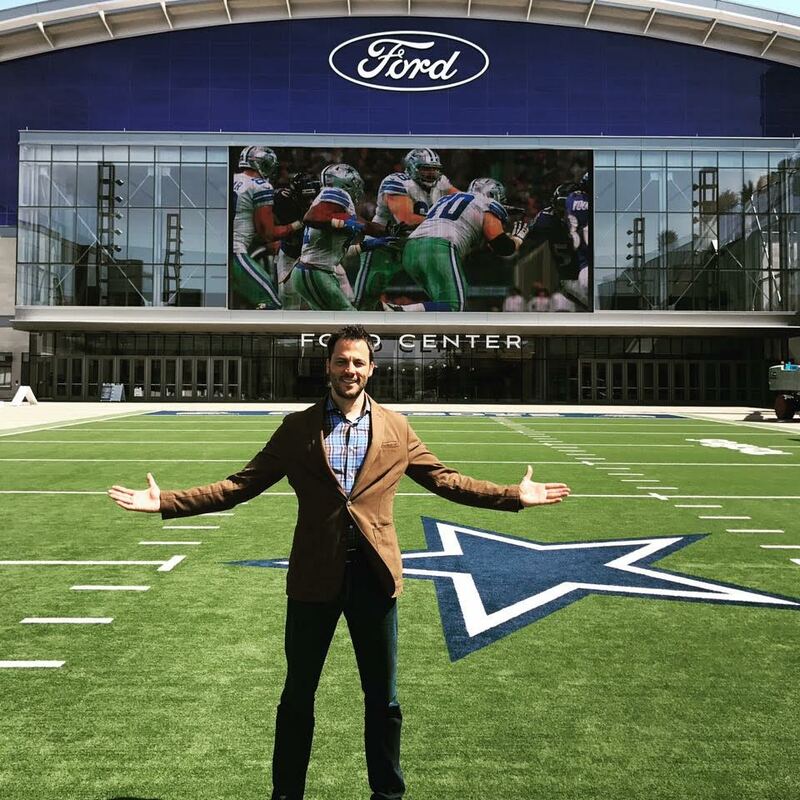 The campus offers an opportunity for fans worldwide to take a look inside the entire operation of the Dallas Cowboys. That is a dramatic reinvention of the way a professional sports team has traditionally approached the marketplace. It’s also a valuable lesson on the upside of delivering a differentiated and compelling experience for customers. That is one of the reasons “America’s Team” has become the most valuable franchise in all of sports — they constantly look for new and better ways to connect emotionally with fans. How fast can you evolve your business structure to deliver customers a more compelling experience? How successful are you at turning customers into brand evangelists (fans)? As consumer spending shifts from things to experiences, these are important questions to consider. Furthermore, it pays to consider the customer experience question beyond your category. Today, customers are much more inclined to compare their experience with U2, The Dallas Cowboys, Starbucks, Uber and Amazon to the experience YOU deliver. Every customer touch point is a moment of truth where you can add value and advance a relationship. It’s worth considering how. “If the writing is on the wall for the purveyors of things, their response is to make the walls more appealing. Increasingly, this means using technology to create the feeling of a meaningful relationship between brand and buyer, online and offline,” according to Guardian. In a world where products and services are increasingly commodities and technology has leveled the playing field, what’s left for companies to compete for share of mind and market? Customer experience. It’s increasingly where companies are going to win or lose in the future. The future is now.